Very Good. The Empire Strikes Back (A Del Rey Book) by Glutt, Donald. Mass market (rack) paperback. Glued binding. 224 p. Star Wars (Random House Paperback), 5. Good. 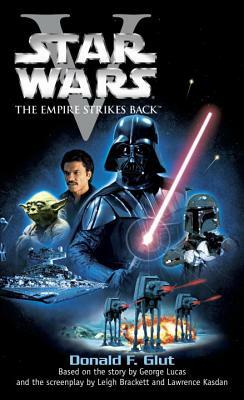 The Empire Strikes Back (A Del Rey Book) by Glutt, Donald, 1994-08-31. Mass market (rack) paperback. Glued binding. 224 p. Star Wars (Random House Paperback), 5. Good. 0345320220 Ships from Tennessee, usually the same or next day. Fair. 0345320220 Ships from Tennessee, usually the same or next day.